First of all, soak the gelatin leaves in cold water. Bring to a simmer milk, cream, sugar, and vanilla. Then remove the vanilla from a pan. Squeeze water out of gelatin and add to the mass, let it dissolve. Divide the mass among ramekins and leave in the fridge for at least one hour. 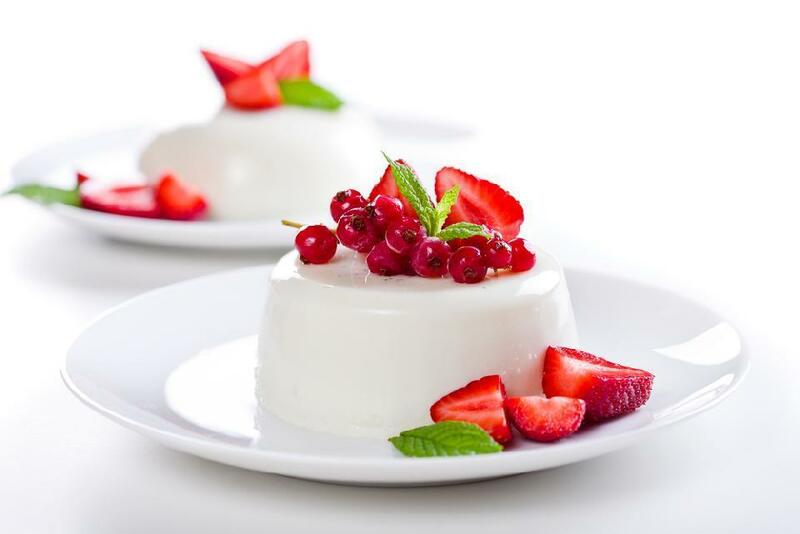 Serve cooled panna cotta with fruit puree, orange or grapefruit.